The woman fighting for her right to pee! Mumtaz Shaikh has had a mission for 2015. She has been standing up for the rights of her sisters in Mumbai in India to be able to ‘sit down’ – when they need to pee. Shaikh was incensed that her home city of Mumbai had 3,000 free public urinals for men and a big fat zero for the 5.7 million women who were having to pay for the privilege – in the ‘financial capital’ of India. Taking matters into her own hands, Shaikh started the “Right to Pee” campaign to fight for women’s rights to basic sanitation facilities. As a result of her tireless campaigning (which included threatening flash-mobs of women peeing in public outside government offices!) 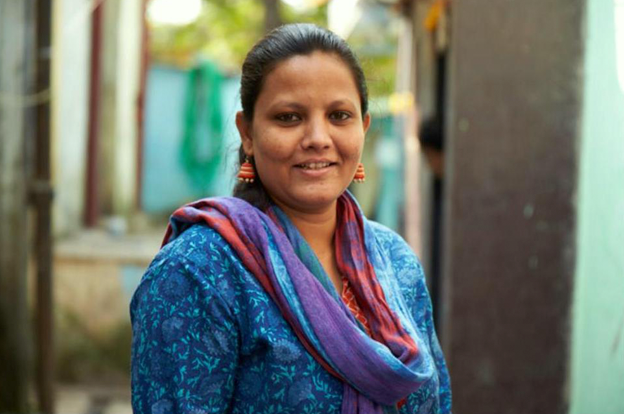 she has so far been successful in getting 96 free female toilets built around the city, as well as a promise of $800,000 by the Indian government to build more over the next year. That’s some seriously impressive work. Previous to her fight for sanitation, Shaikh set up 76 self-help groups for survivors of gender based violence in low-income communities, and has helped set up vigilance committees to make communities safer for women and girls in Mumbai. Her efforts have been widely praised and she has been awarded the title ‘Daughter of Maharashtra’ by the country’s third largest state. Across the globe, however, sanitation issues are still a serious concern. As part of the Millennium Development Goals, the world aimed to halve by 2015 the population without access to clean drinking water and basic sanitation. The good news is that the drinking water goal was met in 2010, however, 2.5 billion people – one-third of the world’s population – are still without access to basic sanitation, which plays a huge role in world health. This is why, as part of the new Global Goals, the world is aiming to ensure availability and sustainable management of water and sanitation for all by 2030. In parts of the world where clean water is hard to find, it’s also overwhelmingly girls and women who spend hours every day walking miles to fetch it often at risk to their own security – an unfortunate parallel to Mumtaz Shaikh’s argument for free toilets for the women of Mumbai. Achieving Global Goal # 6 – Clean Water and Sanitation – could change these shocking facts for the better. It would not only reduce illness, free up women’s time, and improve their security – it could also boost the global economy by $32 billion8 a year through reductions in health care costs and increased productivity from decreased illness. This is why, taking Mumtaz as our grassroots inspiration, we must continue in our fight to improve sanitation across the globe. Pledge your support of Global Goal # 6 – Clean Water and Sanitation by standing with ONE. You can also follow Mumtaz on Twitter, and keep up with the Right to Pee campaign on Facebook.